These are the dice that I have. Trading is simple, offer me dice in red or pink. I'll give preference for the ones in red. I'll trade away any that I have in green. Click here for an easy to use trade page. I'll also trade away Dragon Dice in order to get the dice I need. Send a message if you want to trade or click here for a form that you can use to trade. To see what an icon does, click on it. Want to join the Demon Dice / Chaos Progenitus Webring? 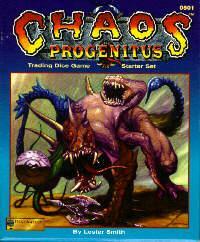 Daemon Dice / Demon Dice / Chaos Progenitus Webring Homepage. Information on the webring, and how to join it. 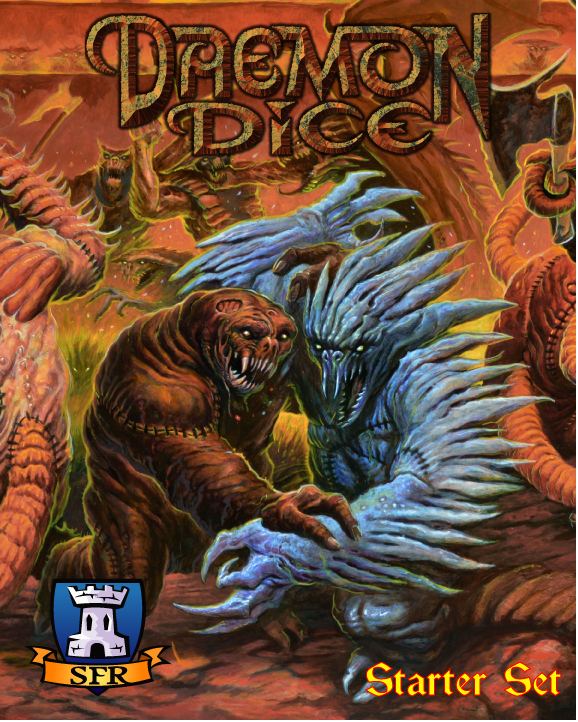 This is the official Daemon Dice site, maintained by the game's owners. 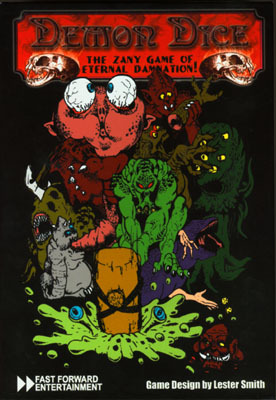 It provides the full game rules plus FAQ and errata; includes a list of all dice faces, breeds, and promotional dice powers; and hosts links where the game can be purchased.